If you want to build a mining rig for Monero, you’ve come to the right place. Most mining rigs consist of a frame, basic computer parts (motherboard, power supply, RAM, etc. ), and somewhere between 4 and 7 GPUs. You can customize and modify your rig however you want depending on your initial investment and your plans for the future, but we’ll be describing a basic 6 GPU mining rig for Monero in this guide. This 6 GPU mining rig will cost you around $1,800 to $2,500 depending on the prices you manage to secure for your GPUs. Currently (6/1/2017), most of the best GPU options are sold out, causing ridiculously high prices to pop up on Amazon, eBay, and other merchants. That said, there are ways to acquire GPUs at moderate prices, and I’ll describe that below. Power Supply Unt (PSU) – What’s the best PSU for mining Monero? You’re going to want a power supply that can save you as much energy as possible in the long run, since you’ll be trying to offset the price of electricity with the profits you make from mining. If you have a low-quality or inefficient PSU, you’re going to be incurring unnecessary charges on your electricity bill. It’s also a good idea to get a high-quality PSU so that you’re safe from fire or other random problems. You definitely want a 1200 W PSU if you’re going to have 6 GPUs running at the same time, but if those are generally low in stock and you are willing to settle for 4 or 5 GPUs on your rig, you can go with a 1,000W power supply (but you still should get one that’s rated for low electricity consumption!). Motherboard — What is the best motherboard for mining Monero? There are lots of doable motherboard + CPU combinations that will work for building an Monero mining rig, but actually finding one in stock can be a bit of a headache. 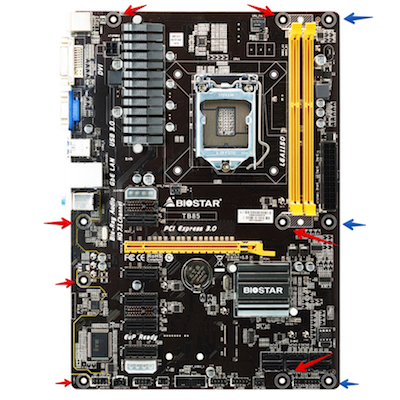 Some sites sell pre-configured motherboard + CPU products, but if you want to save some money, it might be worth your effort to look around on Amazon and eBay to find a good combination that will work for you. It goes without saying that you’re going to want a motherboard with the same number (or more) PCI slots you’re going to need for your graphics cards. If you are willing to settle for using less than 6 GPUs in your rig (and thereby getting less profit), there are tons of options to choose from and they are widely-in stock. But if you want to stay true to the plan, max out your profits, and run 6 GPUs, you’re going to have to do a bit more digging to find the appropriate combo on some hard-to-find motherboards. CPU — Now, what is the best CPU for mining Monero? That’s a much easier question: the simple answer is that you should get a CPU that works with the slot on your motherboard. If you’re going to get one of the above motherboards, chances are you’re going to need an Intel CPU for slot LGA 1150. Unless you plan to use your rig for something other than mining, you should just get a budget Intel Celeron CPU to keep the cost of your rig down. RAM — What’s the best RAM to buy for mining Monero? To go with your motherboard and your CPU, you’re going to need some RAM for your rig. The most economical purchase is likely to be a single stick of 4GB DDR3 RAM. If you want to run other applications on your rig for one reason or another, then perhaps go with 8GB. Regardless, you don’t need much RAM to mine. Graphics Cards (GPUs) (4-6x) — What’s the best GPU for mining Monero? There are lots of good answers to this question, but as of the time of this writing, the answer is: whatever cards you can get your hands on. Stock is so limited that almost anything is better than nothing, but there are still a select few AMD RX cards that you should probably stick to. The actual brand of the card is not the most important part (although some are better than others, like the usually-higher-quality Sapphire and MSI), rather you want to make sure you get the right AMD chip. A variety of manufacturers make cards using AMD RX 470, 480, 570, and 580, and just about any of them will work fine. Also, it’s likely a good idea to get an 8GB RAM card. ​​​AMD Radeon RX 580 – An RX 580 will likely get you more than 400H/s, and when stock is available, it’s a great card for mining Monero. AMD Radeon Rx 480 – Another great card for mining Monero is the Radeon RX 480. This card usually gets more than 400H/s after a bios mod and tweaking the clock speed and uses roughly 150 watts. AMD Radeon Rx 470 – Basically the smaller brother of the RX 480, the RX 470 is widely regarded as the best bang for your buck in Monero mining — as long as you can find it. After you mod it, you’ll get more than 400H/s, and it consumes around 140 watts. Gigabyte GeForce GTX 1070 – While I would recommend against getting an Nvidia card (they tend to have less support from mining software), it’s impossible not to mention the GTX 1070. It will get you more than 400H/s and uses almost half as much energy as the RX cards, so while it may be expensive up front, it might pay off for some in the long run. PCIe Riser Cables — What are the best PCIe risers to use for mining? In my experience (and I’ve asked around about this quite a bit to professional miners), you’re best off using the Ver. 06C or Ver. 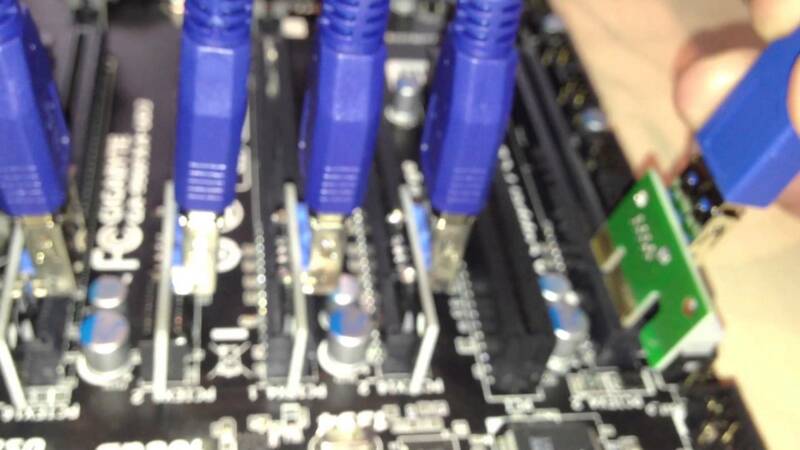 007 6-pin to SATA PCIe risers that you can find on Amazon and other retailers. Don’t cheap out on these — get some good quality risers. This is one area of your rig that will most likely fail at some point, and if that happens, you don’t want to lose a card or have a wire catch on fire. 1x Solid StateDrive (SSD) — What’s the best hard drive/SSD for mining Monero? You probably want to get a solid state drive of course (it will save you on energy and would be one less failure point for a rig that’s going to be running 24/7). A 120GB SSD will do just fine from just about any brand. Mining Case — You’re going to need something to keep your rig put together on (you only need one!) If you don’t have the skill or materials to build your own (people have built some crazy cases out of a variety of materials), you probably want to get something that was assembled by someone else. Something like this one on Amazon would work perfectly. Operating System — You have a few options when it comes to operating system. I personally went with Windows 10 for my rig (most software for mining will work fine with Windows, and I already had a key laying around from an old computer). But if you don’t already have access to Windows 10 for free or cheap, you can try a modern fork of Linux, too! Accessories — Of course you’re going to need a cheap Monitor, Mouse and Keyboard to get everything set up, but chances are if you’re looking build a rig then you already have some of these laying around somewhere. Also, don’t forget to buy a cheap power button for your rig so that you can easily turn it off and on. After you’ve managed to pick up all of these parts, you have to embark on the actual process of building your rig. So how do you assemble a Monero mining rig once you have all the parts? It might seem daunting if you’ve never assembled a computer before, but it’s actually pretty simple. Just follow these steps.